From a development standpoint, the extensive experience and certifications held by our team members allows us to confidently stand behind our work. Providing the highest quality solutions, utilizing the right technologies for each project and taking the time to understand our clients and each project's needs is what differentiates us from our competition. Complete customer satisfaction is our utmost priority. With our quick response time to any telephone call or email, you will immediately see the difference working with Duffy & James Technology Group can make. Contact us today to learn more. Tyler James discovered his fascination with computers at a young age. In the years since then, he has developed this into a career with experience in application architecture, database design, and quality assurance testing. His specialty is working with clients to determine the scope of the project and carrying that project to completion. Tyler is the CEO of Duffy & James Technology Group. In the past ten years, he has used Microsoft, Apple, and open source technology to create web, mobile, and desktop applications. His areas of interest are web development, hardware and software integration, project management, and desktop application development. 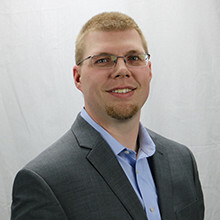 Outside of the office, Tyler enjoys ballroom dancing, playing video games, and spending time with his pets. He uses his love of problem solving and learning new things for everything from making car repairs to creating Christmas light displays. In the future, he would like to expand on his personal development and home automation projects. 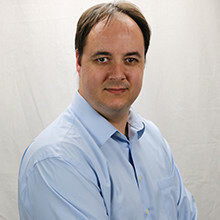 Paul Duffy is a passionate IT Professional, full-stack developer, and project manager with nearly two decades of expertise. He is especially passionate about managing client projects through a full life cycle development process. Paul is the President of Duffy & James Technology Group. 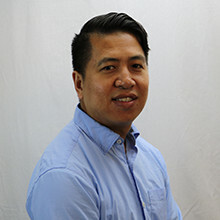 In addition to developing web, mobile, and software applications utilizing cutting-edge Microsoft technologies, his primary specialties are Web Development, Business Development, mentoring developers, and overseeing overall development strategies. Throughout his career, Paul has effectively developed hundreds of projects and successfully managed a multitude of projects from $5K to $1.5M+ in size. Outside of the office, Paul Duffy enjoys play tennis & ping pong, watching movies & TV shows, and reading news about all-things business and technology. He also has an avid interest in testing out new hardware, software, audio/video components, and fast or luxury cars rented off Turo. Vandara Peou is a full-stack developer focusing on Microsoft technologies that goes by the name Van short for Vandara.